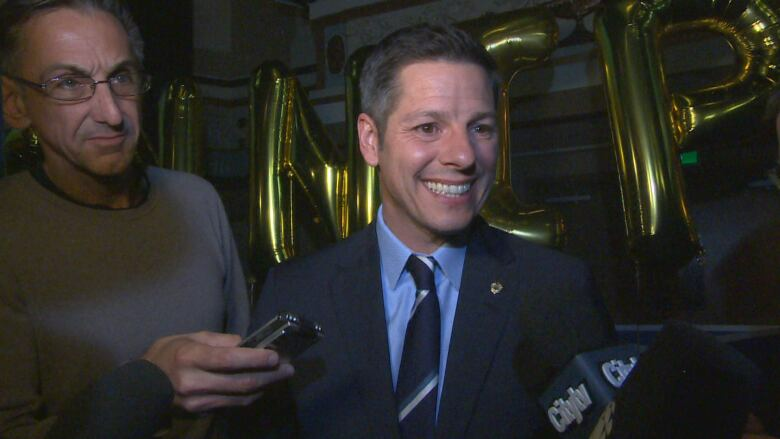 Low-income transit passes would cost Winnipeg $6 million to $15 million a year, according to a report that lays out how the city could introduce the discounts favoured by Mayor Brian Bowman. Last fall, the mayor and the rest of council endured harsh criticism for raising transit fares by 25 cents. In response, executive policy committee asked Winnipeg Transit to examine the prospects of creating a low-income transit program similar to discounts offered by the City of Ottawa. Bowman re-committed to the idea of a low-income bus pass on Oct. 1, during an election-campaign appearance. The idea ought to be considered as part of budget talks for 2019, Winnipeg Transit finance manager Laurie Fisher recommends in a report that comes before council's public works committee on Tuesday. The report estimates no fewer than 13,100 Winnipeg adults in this city would be eligible for the proposed program, based on the number of adults who earn less than Statistics Canada's low-income cut-off and are not also eligible for student or senior discounts. In the report, Fisher offers three options for council to consider. Offering 50-per-cent discounts on monthly bus passes to low-income transit users would cost the city $5.9 million a year, based on 2018 prices. Right now, a 50-per-cent discount on a regular monthly adult bus pass would be $50.05. Offering the same percentage discount to children of low-income adults would cost the city an additional $7.5 million a year, the report states. Adding low-cost single rides to the program would cost another $1.4 million. The report does not say where the city would find the money to pay for the program, though it does suggest speaking to the province about the possibility of sharing the cost. It also suggests phasing in the discounts over three years, in order to reduce the impact on the city budget. Bowman's office said in a statement the mayor remains committed to this idea. "The option to phase in the pass should allow for more manageable costs, which will ultimately need to be considered in the 2019 budget," Bowman spokesperson Jeremy Davis said in a statement. The mayor's office also noted Winnipeg Transit remains underfunded due to a provincial decision to freeze its funding for transit at 2016 levels. In 2017, the province ended a longstanding commitment to cover half of Winnipeg Transit operating costs that are not covered by revenue from transit fares. The report was met with guarded optimism by Winnipeg non-profit organizations that advocate on behalf of people with low incomes. Josh Brandon, a policy analyst at the Social Planning Council of Winnipeg, said it's encouraging to see Winnipeg take the low-income pass seriously but questioned how effective the program would be. A 20-per-cent discount in the first year won't do much to help transit riders who are struggling to deal with the 25-cent fare hike this year, which worked out to a nine-per-cent hike, Brandon said Sunday in a telephone interview. He also expressed concern transit service would be cut back to pay for the program. "Where is the funding for this going to come from? If it comes from existing transit resources, then that's going to be a real concern for bus riders across the city," Brandon said. "We know right now the buses are overcrowded, we need to have more affordability and better service in routes right across the city." The Canadian Centre for Policy Alternatives, a left-of-centre think tank, urged the city to consider an even greater discount. "While a discount of 50 per cent of regular fare is a positive step forward, even at $50 [per] month, a monthly bus pass is out of reach for many," said Ellen Smirl, who authored a CCPA report on transit affordability. "Therefore a sliding scale based on income would be more effective at addressing transit poverty. For example, Calgary has a sliding scale of $5 to $50 so that cost is not a barrier." 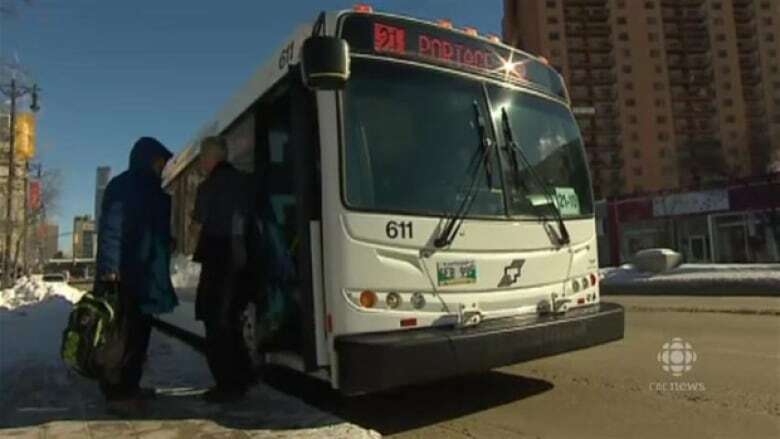 The union representing Winnipeg Transit drivers said a low-income pass would also reduce incidents of violence on buses. "We know that far too often, working people are facing rising bus fares brought upon by the chronic underfunding of Winnipeg Transit, coupled with the elimination of the 50/50 cost sharing program at the city," Amalgamated Transit Union Local 1505 president Aleem Chaudhary said in a statement. "We also know that the majority of incidents on Winnipeg Transit buses stem from fare disputes and fare evasion and we are confident that a low-income pass would help alleviate some of the issues that our members face on a daily basis." Chaudhary called on the province to pay its "fair share" of the proposed low-income subsidy. The report heading to council also expresses concern low-income bus passes could be abused or even resold. "The 'black market' sale and sharing of the low income fare product is a notable concern other municipalities have identified as a significant issue," Fisher states in the report, adding users would have to purchase a Peggo card.